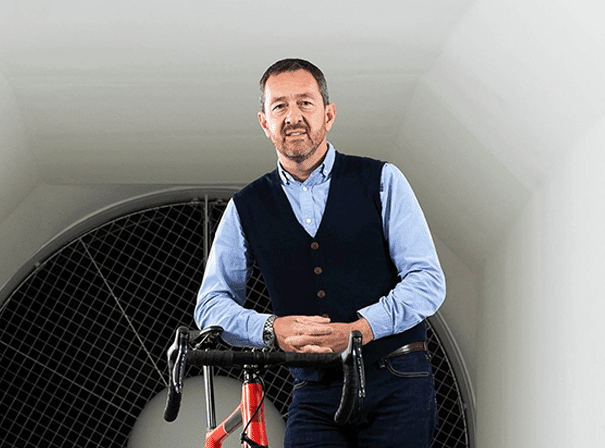 Former British cyclist Chris Boardman was at the top of his sport for over a decade and is now a brand ambassador, public speaker and insightful guest on many a TV programme and radio show as a result. A married father of six children, Chris first rose to prominence when he won Britain’s opening Gold medal at the 1992 Olympics in Barcelona in the individual pursuit. At the same Olympic games Chris broke the world hour record three times and on three separate occasions has won three stages in the Tour de France. Back in 1992 Chris was awarded an MBE for his services to British cycling having been on the national team since the tender age of 16. Often cited as a time trial specialist, Chris is famous for having used the carbon-fibre Lotus 108 bike made by the sports car manufacturer Lotus. Now Chris keeps himself busy by producing competition bikes with the Boardman Bikes and Boardman Elite ventures. Chris’ hour record came in 2000 when he cycled just 10 meters further than the previous holder inside 60 minutes. Since retiring from the sport owing in part to osteoporosis, Chris has presented coverage of cycling for ITV and has competed in the Flora London Marathon as well as being inducted into the British Cycling Hall of Fame. As such Chris Boardman is one of the best cyclist of his generation who can share his insight and anecdotes with charm at a range of public, private or corporate events.